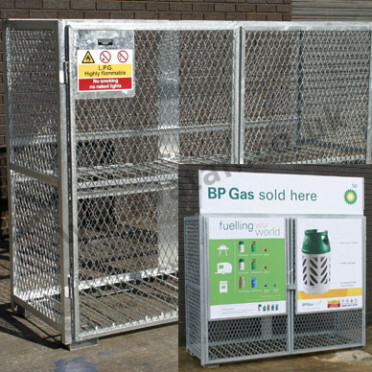 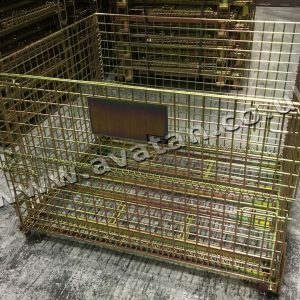 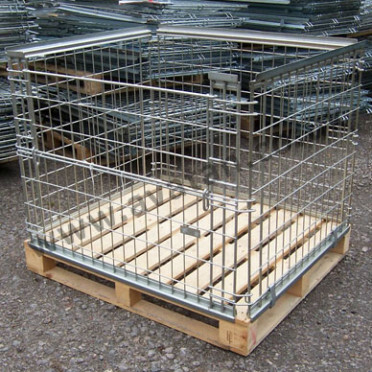 Wireformed stackable pallet retention unit to fit standard 1200mm x 1000mm timber pallet to create stackable cage pallet approximately 1000mm overall height. 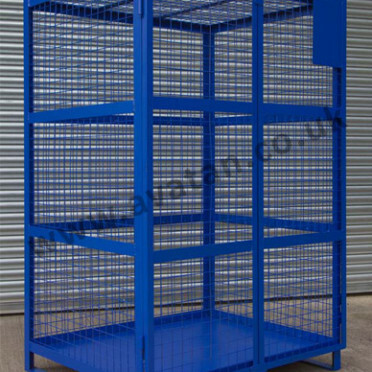 With half drop gate on one long side and finished in bright electro zinc plate, this pallet converter has been load tested suitable for 800kg uniformly distributed load stackable four units high using good quality full perimeter base timber pallets. 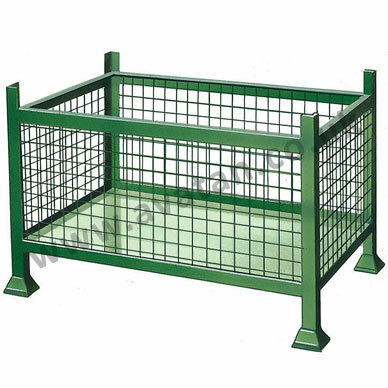 This is a fully collapsible unit and folds flat for empty storage and transportation.